When I get inspired inside a museum, I usually dream of textiles in movement. This is a lovely shrine-like statue that others might find slightly haunting, but I imagine ballerinas in delicate rose tutus. It could be Waltz of the Flowers from the Nutcracker, filled with sparkle and magic. You can find this displayed as part of the regular exhibit at the DeYoung Museum in San Francisco. 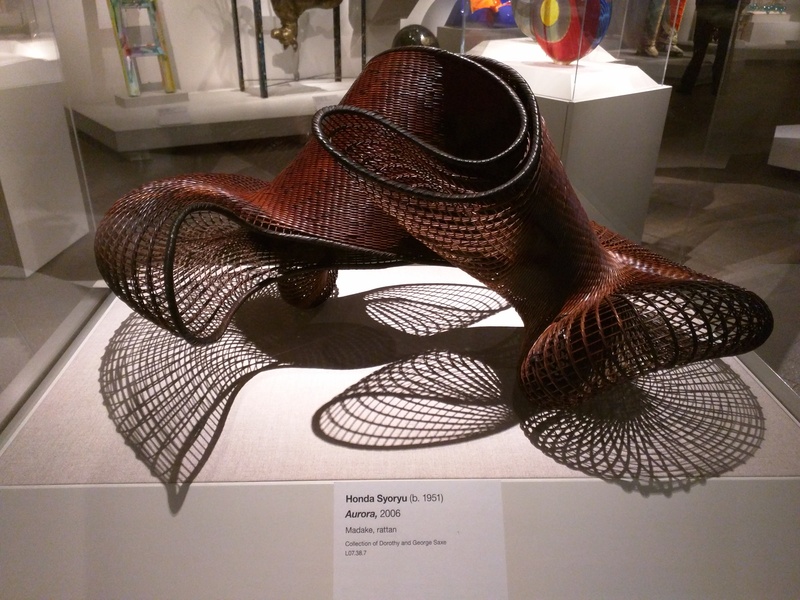 This second piece of art is a rattan sculpture. One might immediately think the hat as the obvious inspiration, but I see a flowy gown with a lively, swirly hem supported by horsehair.